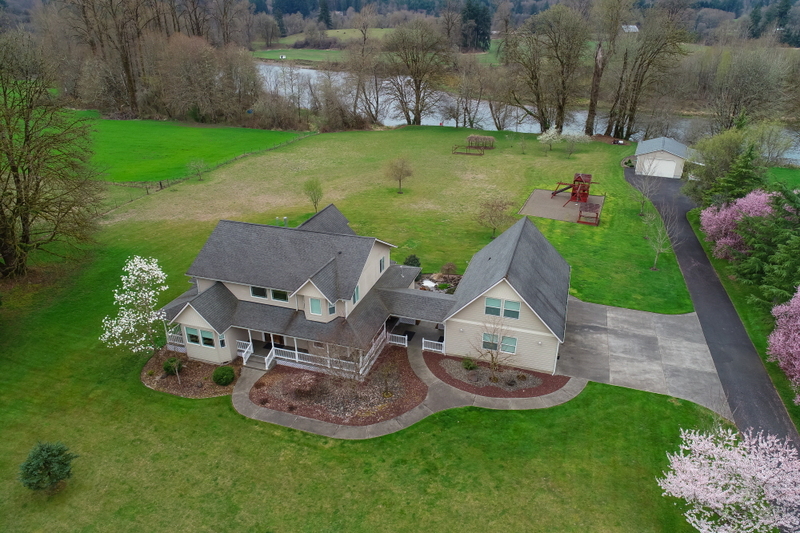 4 acre estate w/ 300 +/- Cowlitz River frontage; 4 bed / 4 ba with 2 master bedrooms &amp; 1 bed apt above garage! This home is beautiful and has all usable acreage with garden and fruit trees. 2 master bedrooms (1 on main floor) 2 additional bedrooms / 4 bath home. There is also a 1 bedroom apartment above garage. Great home with high ceilings, lots of natural light and a view of the river from most rooms. 4 usable acres with garden and fruit trees. 300 +/- feet of Cowlitz River frontage, RV parking and a seperate shop!